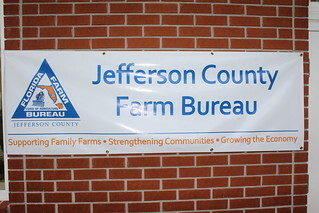 The Jefferson County Farm Bureau partners with its local extension office and conducts an Annual Ecology Field Day in the spring. This year, the kids learned about corn production while enjoying fresh popcorn made from a kettle pot. Farm Bureau members and volunteers teach about different types of corn grown in the area as well as numerous different products that contain corn. It is a fun day where children have the opportunity to learn hands-on how important agriculture really is.